Where is it usually? Up here in Montana. Feet of it. One thing about living at near mile high altitude and far enough north to throw a rock across the Canadian border, I hardly ever worry whether there will be enough of the white stuff for Santa to zoom around on his sleigh. The Texas Panhandle, however, is a different story. Compared to the rest of the Lone Star state it does get a fair amount of snow, especially in the Canadian River area where Mistletoe in Texas is set, so I could have realistically conjured up a convenient storm. But I decided to create my white Christmas romance a different way—with a blanket of frost. Snow is pretty. Frost is pure magic. The entire landscape is iced with sparkling crystals—every branch on every tree, every barb on every wire, sometimes even the livestock! The most stunning displays of frost almost always follow a freezing fog. In Mistletoe it happens to roll in on the same night that Hank and Grace hit the inevitable black moment, and it seems as if their relationship has come completely undone. The symbolism alone was too much to pass up—all is lost in the darkness and mist, both literal and emotional—and the treacherous roads and near zero visibility add another layer of drama. And then, of course, the skies clear, the sun comes out, and the everyone emerges into a wonderland so glorious it’s almost painful to behold. I also have to give my mother full credit for the Christmas Eve scene in this book. Our frosty mornings are particularly spectacular because our yard is filled with trees of every shape and size that she lovingly tends. (Yes, our. I confess, I live with my parents. Well, in their bunkhouse, which is the ranch version of a basement.) And since Mom has never met a Christmas light she doesn’t love, at night it’s all lit up and absolutely stunning. Unfortunately, pictures and videos never do it justice, so you’ll have to settle for the best description I could muster in Mistletoe in Texas. And if you do live where the white stuff occasionally falls, I highly recommend buying one of those thousand points of light lasers, aiming it up into the sky, then kicking back and staring in awe as it turns the snow to fairy glitter. Like I said, magic…especially if you’re sharing the moment with someone you love. This print copy contest has ended. 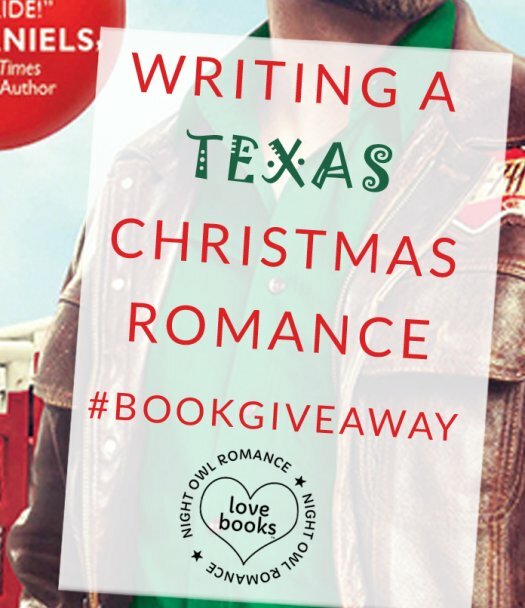 The lucky romance book winner is in the comments. Romance book author Kari Lynn Dell is a native of north central Montana, a third generation ranch-raised cowgirl, horse trainer and rodeo competitor, most recently the 2013 Canadian Senior Pro Rodeo Association Breakaway Roping Champion. She attended her first rodeo at two weeks old and has existed in a state of horse-induced poverty ever since. She currently resides on the family ranch on the Blackfeet Reservation, loitering in her parents’ bunkhouse along with her husband, son and Max the Cowdog, with a tipi on the front step, a view of Glacier National Park from her writing desk and Canada within spitting distance. Come visit at KariLynnDell.com, hear what's next on the publication front, learn firsthand about ranch life on the east slope of Rockies and laugh with us at the tales of woe and wonder that come with living on the northern frontier. Really, someone should be filming this stuff. Occasionally, we do.